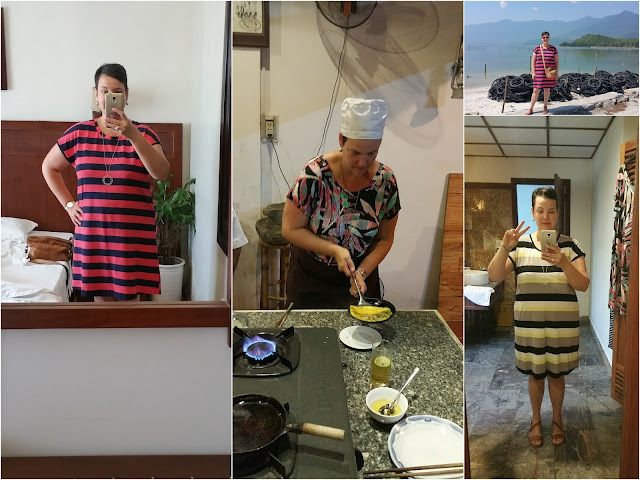 Made by Melanie: Vietnam, and did I actually wear what I made? Vietnam, and did I actually wear what I made? So, it's two weeks since I've returned to reality from what turned out to be a FANTASTIC holiday in Vietnam! 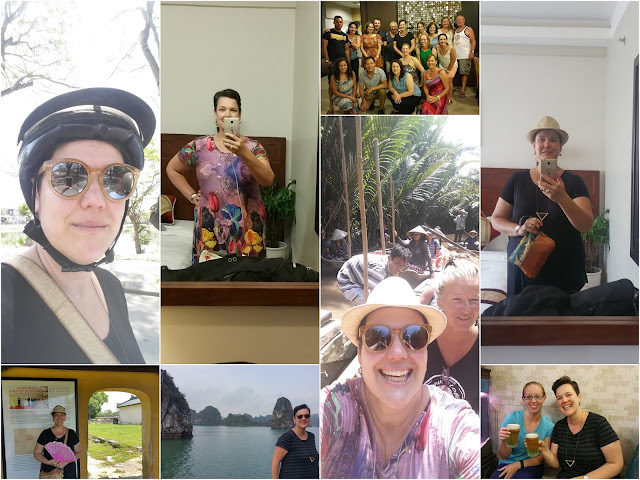 After reading a not-so-positive travel biography before I visited I have to admit I was expecting Vietnam to be terrible, really hard going and not enjoyable. I had the lowest of low expectations and I'm glad they were not met. What an incredible country. 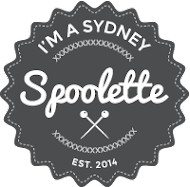 Beautiful, hectic, friendly, funny, delicious and joyful. I cannot wait to go back! I went a bit bonkers sewing for my trip and, along with some items I'd made earlier (just for everyday life), I ended up packing 2 x Mabel Skirts; 3 x Gabby Dresses; and 5 x Marianne Dresses. Did I wear it all? Yes. And, no! I only ended up wearing one of my Mabel Skirts - on two separate days with clean t-shirts each day. Vietnam was SO hot so I guess I was saving the second one for another day but just never got around to wearing it. 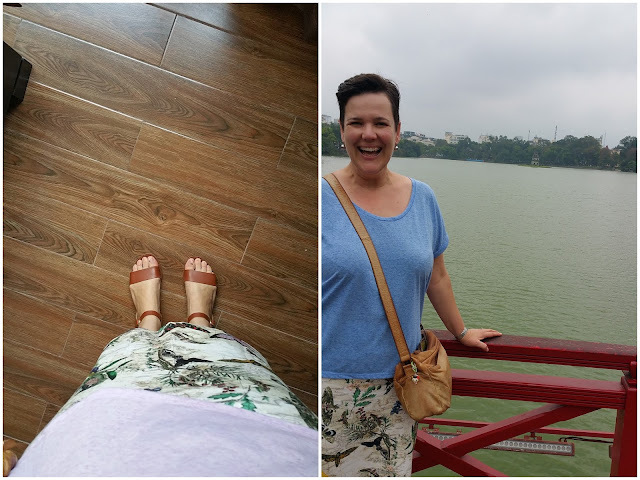 Luckily it was not too hot in Hanoi (relevantly speaking to the rest of the country) so I used some anti-chaffing cream to keep my inner-thighs in good shape (just in case anyone is wondering about skirts, thighs that touch in the middle and hot hot weather). All of my Gabby Dresses were worn - multiple times actually. All three of them were in quite cool, thin viscose jersey (bar the striped one which was a bit thicker) so did the trick. I wore them with pairs of Dave's long undies underneath to avoid the dreaded chub rub due to the hot hot weather. These dresses were good as they could be worn on the back of a moped or in a cyclo without flashing everyone. I only wore three of out the five Marianne Dresses I packed. Two were just in a fabric that was too thick and thus too hot for Vietnam. Did I mention it was HOT! Again, Dave's long undies saved the day. I think I over-packed. I could've left out those two Marianne Dresses that were never worn. Plus I rinsed out clothes as I needed to and we also had an opportunity to to do laundry along the way. I probably could've left the Mabel Skirts at home -- they weren't very practical in terms of motorbike riding or sitting on low low stools at various eateries. I would definitely pack a variety of what I've made for another hot-weather holiday. I'm really keen to visit Cambodia and Vietnam (again) in 2017 so I have my wardrobe needs all sorted!